I've been slacking. I've skipped more blog posts in the past three weeks than in the last three years combined. I have no excuses save laziness. When I was in 7th or 8th grade, I cried a lot. I cried when I was younger too, but I have many visceral memories of my Middle School and the specific places where I shed tears. I cried at school dances when I couldn't gather the courage to ask my crush to dance. I cried on the field when I was last one to finish my mile in gym. I cried on the floor outside of classrooms when I was embarrassed for acting out. I cried in the gifted office when my grades started to slip because I wasn't doing my assignments. I didn't care much about my grades any more than other kids did. I cared about not getting in trouble for my grades. I was worried about facing my parents and so, in true middle school fashion, I wound myself up to a fever pitch and found myself sitting in the gifted office, crying. This incident sticks out in my mind because of what I said. I told the teacher in the room that if I told my mom about my grades, I wouldn't be able to sit down for a week. I'm going to take the time now to say that my mother has never hit me. I wasn't spanked growing up and came from a family who truly believed that violence wasn't the answer to problems. My parents were not abusive in any sense of the word. They were, however, fierce and I didn't want to feel their wrath. 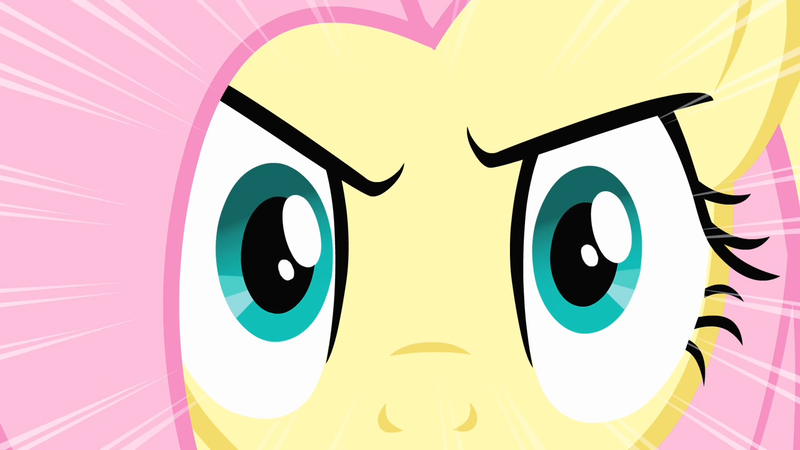 I feared what My Little Pony fans know as "The Stare." As soon as I said this, the mood in the room changed. I had made a huge mistake and even as a stupid middle school student, I knew something was different. It was palpable. "Are you saying that your mother hits you?" I began backpedaling fast enough to challenge Lance Armstrong. I didn't fully understand the implications. but I knew that I wasn't abused and that my saying I was, or even implying it, was going to blow up MUCH bigger than I could handle. I wasn't trying to cover anything up, other than my own insecurities. In trying to deflect attention from my grades, I had created a much bigger problem. I managed somehow to convince the teacher that I wasn't in fear of physical harm from my parents, and I have no idea if they even knew about this exchange, but it stayed with me in vivid detail. I couldn't probably identify posters on the walls during that meeting. Children don't always understand the implications of their words. When interacting with each other, they can say and do things with minimal lasting effect, but when interacting with adults, especially adults who are specifically tasked with their safety, the rules change. As a mandated reporter, if a student came to me with these same claims now, I would be required by law to report the incident to Child Services. It wouldn't matter whether this child had a history of lying, or if I knew for a fact that the event had no happened. The law requires me to report it. Failure to do so would put my job and career in jeopardy. If I had not changed my statement to something truthful, I could have severely impacted many different lives, including my own. I do not believe that most students are aware of the grave implications that come with casual accusations. We need kids to be safe. We need kids to be believed when they speak up about abuse. But this means that we need to be having conversations with them about the implications of their statements. They need to understand that their words have consequences. I had to report what I think was a similar case during my last year teaching. The 9th grade boy and his friends were savvy enough to realize it as soon as he said what he said. Then came the begging and pleading and attempting to make me feel guilty for doing what I had to do. Not a pleasant experience. Words matter.